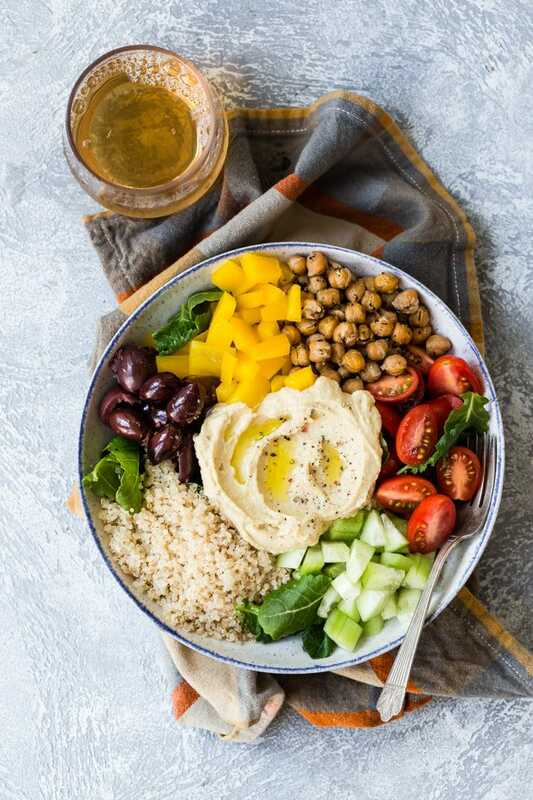 This easy Mediterranean Buddha Bowl is full of colorful veggies, nutritious quinoa, and roasted chickpeas. Top with hummus for an epic power lunch! Before you fall off the wagon of your January resolutions, in case you made any, here’s one more way to stay on track. Despite it’s pretentious name, this Buddha Bowl has a lot to offer. 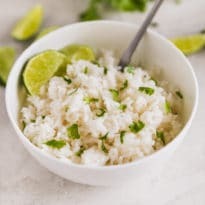 It’s loaded with a variety of highly nutritious ingredients you should eat, at least once in a while, and it’s delicious enough to make the whole scenario pleasant and enjoyable. What is a Buddha Bowl made of? The first reference to a “Buddha Bowl” probably showed up in Martha Stewart Living’s Meatless, a collection of 200 vegetarian recipes published in 2013. Within the book, Buddha Bowls are described as plant-based bowls of glory. They don’t always have to be vegan, but they started out that way. 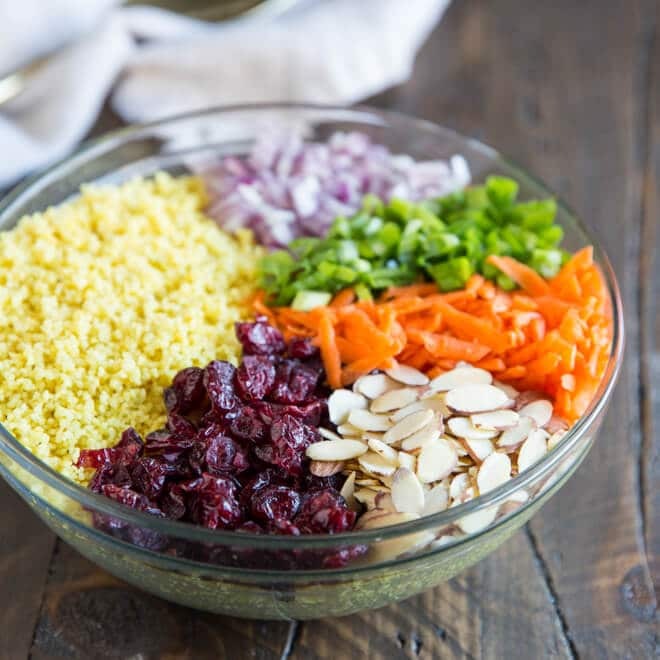 To that end, Buddha Bowls typically contain a variety of colorful, artfully-arranged vegetables (both and raw and cooked), grains, legumes, nuts, and seeds. How do you make a Buddha Bowl? 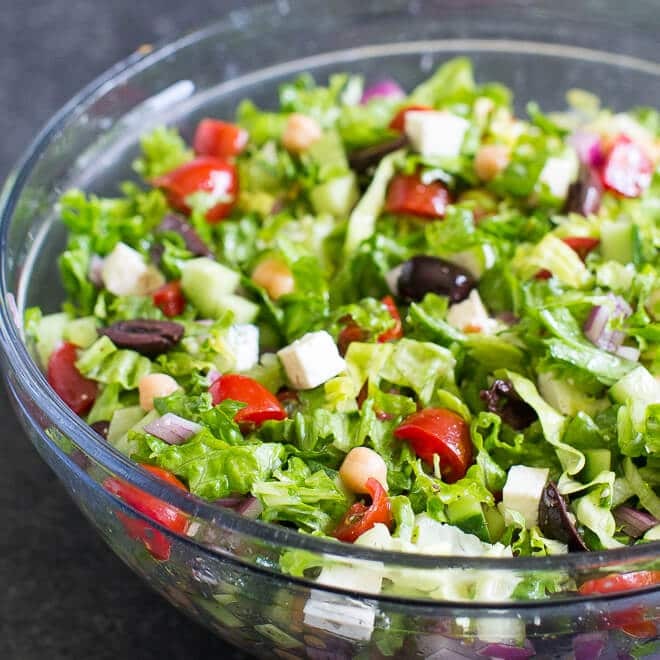 To make my Mediterranean version, I layered arugula in the bottom of bowl (substitute the greens of your choice). Next, I added vegetables, roasted chickpeas, quinoa, and olives. A dollop of hummus completes this masterpiece. Why is it called a Buddha Bowl? I love the idea of roasting chickpeas. It converts a canned, slimy bean into a crunchy treat. First, drain and rinse a can of chickpeas. Place the rinsed chickpeas on towels and rub them dry as best as you can, removing any skins along the way. Next, toss them with olive oil, garlic powder, dried basil, salt, and pepper. Roast in the oven for 30 minutes, shaking and turning the pan occasionally, until golden, crunchy, and delicious. 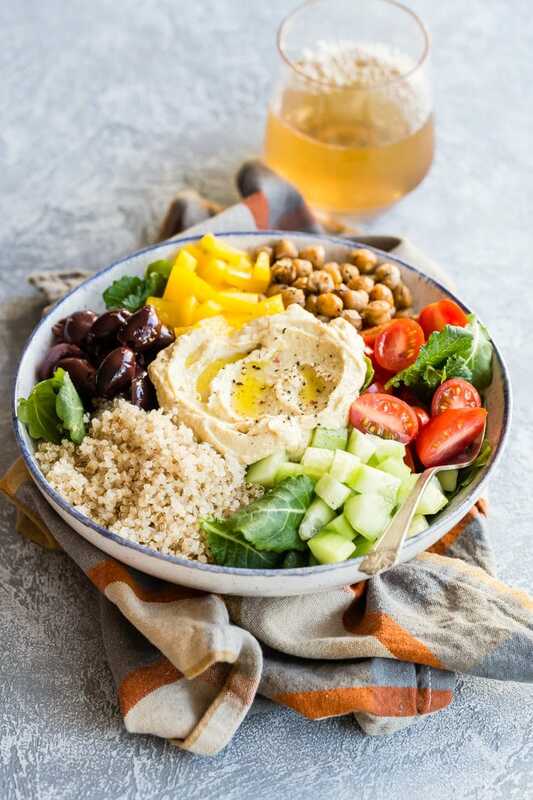 Save this Mediterranean Buddha Bowl to your “Main Dishes” Pinterest board! Move an oven rack to the middle position and preheat oven to 400 degrees. Line a baking sheet with foil or parchment paper for easy cleanup. In a small bowl, combine chickpeas with olive oil, basil, garlic powder, 1/4 teaspoon salt, and 1/8 teaspoon pepper. Spread in a single layer on the prepared baking sheet. Bake for 30 minutes, stirring the chickpeas and rotating the baking sheet halfway through. Remove from the oven and cool slightly. Meanwhile, combine quinoa and water in a small microwave-safe bowl. Cover; microwave for 4 minutes on high. Remove from microwave, stir, and heat again for 2 minutes longer. Stir and let stand 1 minute in the microwave. Layer greens in the bottom of a bowl or on a platter. Arrange the grape tomato halves, cucumbers, bell pepper, olives, chickpeas, and quinoa in sections around the bowl. Spoon the hummus in the middle of the bowl and serve. 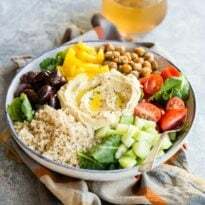 Mmm Meggan your Mediterranean Buddha Bowl looks so satisfying and tasty! I love how colorful it is! Great work!! 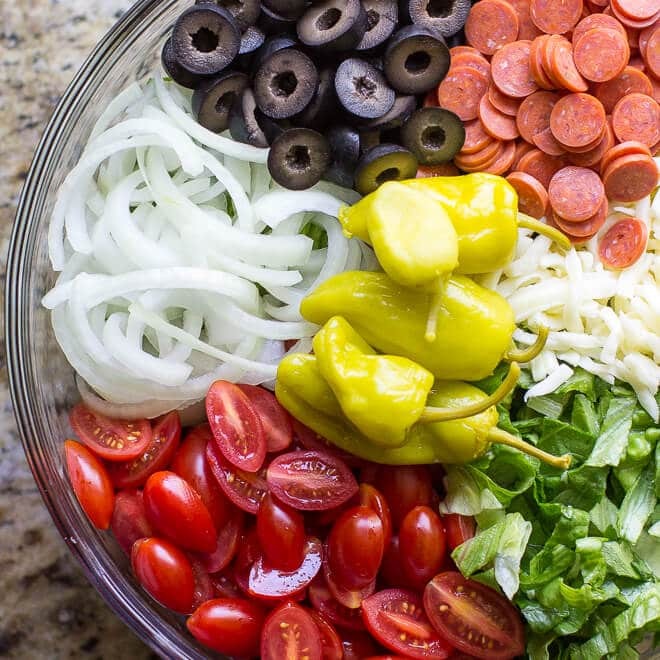 Love how colorful all the ingredients are, will make it easier to get my kids to eat it! Mediterranean food is my favorite. I can’t wait to make this! Thank you for sharing your recipes! I love to make your mini quiches for company. Do you think this buddha bowl would be a good make ahead “company dinner” for a hot day? If I plate individual servings and cover them, would they keep nicely in the fridge for a few hours? Hi Emily, yes I think they would hold up really well! 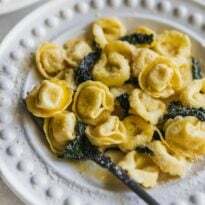 The ingredient most prone to losing it’s luster is the arugula, but even that is quite hearty for a green and I think it would be fine. There aren’t really any “wet” ingredients to make it super soggy. If you were worried about that, you could use kale instead which can withstand anything. :) But even with the arugula it’s fine, grape tomatoes are not overly juicy and everything else should be good. And it’s just a few hours! Just keep the plates covered with plastic wrap and in the fridge, and you’ll be a super star. Also, I’m so excited that you like the mini quiches! I made them yesterday for a class project! :) Take care and thanks again. Thank you, so much for your reply, Meggan! You are awesome. I ended up making mini quiches again, but I will try this soon!